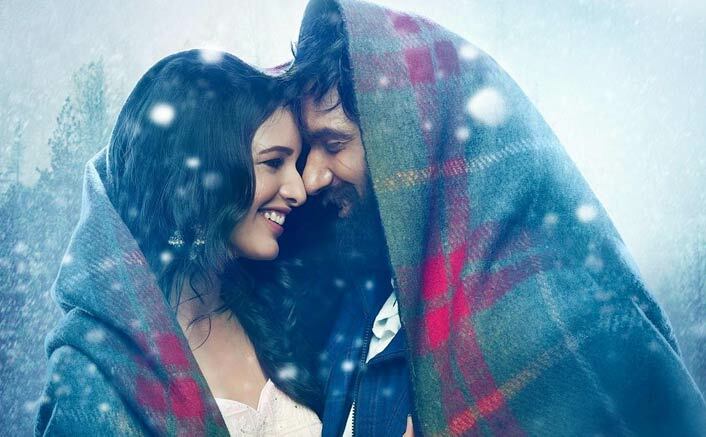 Home » Reviews » Laila Majnu Movie Review: You Need Your Heart At The Right Place To Love This! The story is similar to the epic of Laila Majnu but the way it's been treated is special. I’m all heart with Sajid Ali because many people will categorise the movie into portions which belonged to his brother Imtiaz. But, this guy here has exceedingly well for his debut. With Sayak Bhattacharya’s cinematography, he has captured a side of Kashmir which no one else has done before. A very well directed film! Music – the less I say the better. I’ll always regret of not doing a music review for this album before the release. Atif Aslam/Javed Ali’s Tum, Arijit Singh’s Aahista & Mohit Chauhan’s Haafiz Haafiz – three songs spoke more than your usual love stories in Bollywood. The transition during Haafiz Haafiz changed the game for the film & Laila Laila will cheer up your heavy heart. All said and done, Imtiaz Ali films have a certain loyal fanbase & Laila Majnu is for them. Other people can attempt too but do not expect it to be your usual dose of entertainment because this is different. Laila Majnu is a heartbreak in the visual form & you need your heart to be at right place to love this film. Remember, love with logic is not love! Laila Majnu Movie releases on 07th September, 2018. Share with us your experience of watching Laila Majnu Movie . Laila Majnu: Imtiaz Ali Revealed Why He Chose A New Star Cast For The Film! Laila Majnu Trailer: This Has Love, Madness & Imtiaz Ali Written All Over It! Super Review Ever . . .
Its not debut movie of Avinash Tiwary.. As solo hero its his debut. But he has worked in film “Tu he mera Sunday” which was again a very good movie. When I noticed these c2wzl5s.cf http://c2wzl5s.cf/ on line, I beloved them. I am seeking once more.